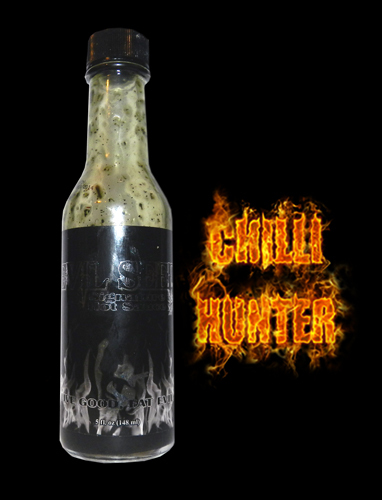 When I decided to order some sauces that were currently unavailable in the UK I somehow stumbled across the Evil Seed website. This sauce caught my eye for one main reason, its jet black! Its a vinegary citrus sauce with a mild garlic background. Jalapeno’s and red habanero’s give the sauce a reasonable warmth. Its Black! It’s cool!, and very weird looking splashed on a plate of chips. I recommend getting a bottle, not because its really tasty but because its black! !